What attracted you to Coreco? 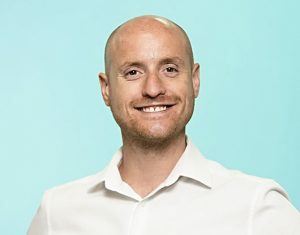 Coreco differs from other mortgage brokers as it does not fit the usual financial services stereotype of a ‘flashy mortgage broker’ in a suit and tie banging on about interest rates. Although finance and rates are the core of our business, most clients want someone more personable and I think that Coreco saw that, hence I joined them. When you are taking on the biggest financial burden of your life you need to fully understand what it is you are taking on and have the confidence in your broker that they are advising you on the right product. You also need to have the confidence that your broker can get the mortgage agreed. How do you ensure that the client journey is as good as it can possibly be? For me personally, it is in my character. I like getting to know people and I am naturally inquisitive so I always want to do the best for people. It’s inbuilt in me to ensure that I look after my clients. My job breaks down to 50% broking and 50% counselling. Buying a house is such an emotive purchase and you can often find that people have had a bad experience applying for a mortgage before or are having trouble raising the funds elsewhere so you need to be empathetic. At Coreco, we have got a slick process from the first touch point with the client all the way through to completion. From the moment someone calls in for advice they are always looked after, from the client services team to my case manager and I; that is definitely important for creating the best possible client journey. If you could give clients one piece of advice for obtaining a mortgage for their dream home, what would it be? Obviously, the stock answer is to get professional advice. It really is important because ultimately when you’re taking out a mortgage, people will come to you and say ‘I want the cheapest mortgage’ but the cheapest may not be obtainable or in fact the right mortgage for that client. My job as a mortgage broker is to get you the cheapest mortgage and the right mortgage – so whether that’s trackable, variable discounted, offset or fixed, that is what I am here to do. Mortgages are also becoming more and more difficult to get agreed so getting the right advice at the start and choosing the right lender is imperative. That comes with knowing your client as best you can and doing your due-diligence BEFORE the application. I would say the most important thing to do is chat it through with someone, it is easy to compare your situation to your friends but you could be looking for something completely different and as mortgage brokers we live and breathe finance, we live and breathe property and we live and breathe people, so we’re the best people to offer advice because there might be an option that you had not even considered. I was recently given some good advice which is to think about what you want and how to get there, it sounds like such a cliché to say ‘look to the future and think about where you want to be in 5 years time’, but it is genuinely good advice because it is easy to lose track. Marine biologist – I did my degree in marine biology, I really like marine invertebrates. Saint Marcellin – it comes in a little terracotta pot and it honks but it is delicious. My mum bought me a subscription for a cheese box which got delivered to the office once a month on a Friday. It included five kinds of cheese and every Friday I would have to put it in my rucksack and take it on the tube home and so I smelt awful. If you could invite 5 celebrities to a dinner party who would they be? Recommendations for first time buyers? Do it asap – rip the plaster off.